Prosecutors say a former government scientist who worked on the cutting edge of moon exploration has been caught trying to sell classified secrets to an FBI agent posing as an Israeli intelligence agent. 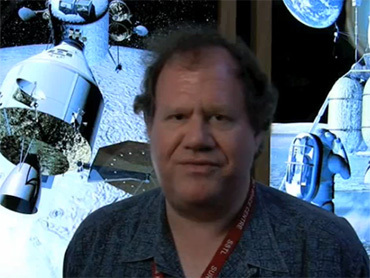 Stewart David Nozette, who has worked for the White House, the Pentagon and the Department of Energy, and who is credited with discovering evidence of water on the moon, was arrested Monday on espionage charges. He is due to appear in federal court Tuesday. The Justice Department said Nozette, 52, of suburban Chevy Chase, Maryland, of attempting to communicate, deliver and transmit classified information to an individual he thought was an Israeli intelligence officer. That officer was really an undercover FBI agent. Nozette held special security clearances in the 1990s, and had access to U.S. satellite information, and critical nuclear weapons design information clearances. The complaint does not allege that the government of Israel or anyone acting on its behalf violated U.S. law. In Jerusalem, Israeli government officials had no immediate comment. Nozette was arrested Monday by FBI agents. He is expected to make his initial appearance in federal court in Washington on Tuesday. Investigators worked into the night, removing evidence from Nozette's home in suburban Chevy Chase, Md., reports CBS News Senior White House correspondent Bill Plante. "It's surreal, but now that I think about it he was an odd guy," said neighbor Beverly Wong. "He never really interacted with any of the neighbors; he would come out in his bathrobe." She said Nozette's reputation among his neighbors did not go much further than that he was a rocket scientist. "No one seemed to know that much about him. But I had no reason to think that he was involved in any espionage or anything, you know, about being a spy." "NASA does not comment on open cases in the criminal justice system," agency spokesman Michael Cabbage said in a written statement to CBS News reporter Peter King. • September 3: FBI agent Leslie Martell said that Nozette received a telephone call from an individual purporting to be an Israeli intelligence officer. Nozette agreed to meet with the agent later that day at a hotel in Washington, and in the subsequent meeting the two discussed Nozette's willingness to work for Israeli intelligence. Nozette allegedly informed the agent that he had, in the past, held top security clearances and had access to U.S. satellite information, the affidavit said. Nozette also was alleged to have said he would be willing to answer questions about this information in exchange for money. The affidavit said the agent explained that the Israeli intelligence agency, Mossad, would arrange for a communication system so Nozette could pass on information in a post office box. Nozette agreed to provide regular, continuing information and asked for an Israeli passport, the government alleged. Nozette allegedly told the agent, "Well, I should tell you my first need is that they should figure out how to pay me ... . They don't expect me to do this for free." • September 10: Undercover FBI agents left a letter in the designated post office box, asking Nozette to answer a list of questions about U.S. satellite information. The agents provided a $2,000 cash payment. Serial numbers of the bills were recorded. • September 16: Nozette was captured on videotape leaving a manila envelope in the post office box. The next day, agents retrieved the sealed envelope and found, among other things, a one-page document containing answers to the questions and an encrypted computer thumb drive. One answer contained information, classified as secret, which concerned capabilities of a prototype overhead collection system. • September 17: Agents left a second letter in the post office box with another list of questions about U.S. satellite information. The FBI also left a cash payment of $9,000. Nozette allegedly retrieved the questions and the money the same day. • October 1: Nozette was videotaped leaving a manila envelope in the post office box. FBI agents retrieved it and found a second set of answers. The responses contained information classified as both top secret and secret, involving U.S. satellites, early warning systems, means of defense or retaliation against large-scale attack, communications intelligence information, and major elements of defense strategy. Nozette had worked in varying jobs for the Department of Energy, the National Aeronautics and Space Administration, and in the National Space Council in the president's office in 1989 and 1990. He developed the Clementine bistatic radar experiment that purportedly discovered water on the south pole of the moon. He worked from approximately 1990 to 1999 at the Department of Energy's Lawrence Livermore National Laboratory in California, where he designed highly advanced technology. At the Department of Energy, Nozette held a special security clearance equivalent to the Defense Department top secret and "critical nuclear weapon design information" clearances. Department of Energy clearances apply to access to information specifically relating to atomic or nuclear-related materials. Nozette also held top offices at the Alliance for Competitive Technology, a nonprofit corporation that he organized in March 1990. Between January 2000 and February 2006, Nozette, through his company, had several agreements to develop advanced technology for the U.S. government. He performed some of the research and development at the U.S. Naval Research Laboratory in Washington, the Defense Advanced Research Projects Agency in Arlington, Virginia, and at NASA's Goddard Space Flight Center in Greenbelt, Md.